To all general merchandise traders who were upset by Lord Mayor, Robert Doyle’s, food-focussed comments in today’s Herald-Sun we have posted this photo with the suggestion that you take a deep breath, relax, and let the PR circus take its course but never forget that the Queen Victoria Market has been in operation for over 130 years, survived 2 world wars, met the needs of locals and tourists alike and always included a product mix that went well beyond just food. We doubt if too many tourists have booked into their city hotel room and said “Let’s nick down to the Queen Victoria Market and grab a leg of lamb”. New iPhone App Helps Stall Setup and Packup. For those of you who like to listen to music on your iPhone while setting up or packing up there is an app that will keep you in touch with the outside world even while wearing earbuds. Awareness is an app that operates in the background but lets you know when a sudden noise needs your attention. It might be somebody talking to you, or a PA announcement, or perhaps a warning beep from a car or forklift. 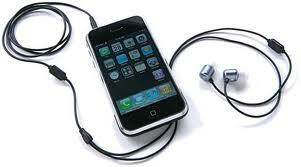 The app instantaneously picks up the sound and filters over the top of your music or radio feed. You can hold a normal conversation with your earplugs in place. Like many apps the degree of control is quite impressive. For starters, you set the level at which you wish to be interrupted and you can select additional warnings like a sound or vibrations. Sounds like a convenient app for music listeners with a big dose of safety built in and it is FREE for a limited time. What does Mino do with his videos? When we last posted trader Mino's excellent bag video a trader asked "What does Mino do with these videos?" The answer is anything that will give it exposure. Mino's videos go on YouTube and are picked up by sites like QVM. Mino has 2 LCD screens on his market stall and the videos play at regular intervals. He is currently working on a shorter video that will get the message across to potential customers as they walk past his stall and hopefully cause them to stop. This is multi channel marketing in action. We have received reports that some traders have had difficulty finding our facebook page. Apparently facebook have some issues with their search function particularly since the new timeline system was introduced. Facebook is a great way of communicating and you can post direct to the page with photos and videos but remember, keep it clean, and respect the privacy of others. We will moderate any unwelcome posts. A big plus for facebook users of course is that you get Guru Pete's sports tips and he has picked two winners in two weeks. The other advantage is that you get notification of our website articles as soon as they are published. Let us know what you think. 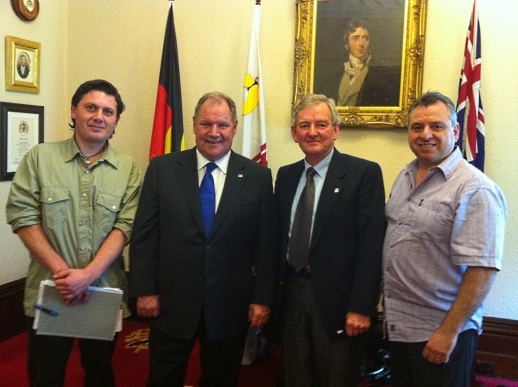 Traders John Magno, Greg Smith and Jim Antonopoulos met with Lord Mayor, Robert Doyle at Melbourne Town Hall this afternoon. The meeting followed an email from Jim to the Lord Mayor requesting discussions on the deteriorating state of business for general merchandise traders at the market. A broad ranging discussion followed. The Lord Mayor is keen to establish a range of short-term, medium-term and long-term objectives to ensure that the market is returned to its No.1 role as a Melbourne icon. Further meetings will be held. 1. Starbucks estimate their customers are worth $14,000 ea. in repeat business. 2. David Jones reports 19.6% drop in first half profit and says could be 40% in full year. 3. Russian coffee house offers free coffee but charges by the minute for time spent. 4. 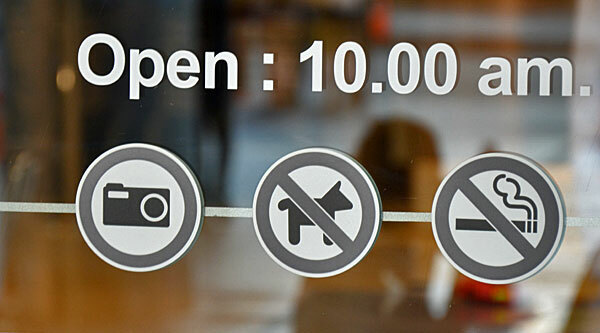 IBISworld says pet shops the most recession proof retailers in US. 5. Rising petrol prices expected to react adversely with consumer sentiment. 6. Perfume Connection’s future uncertain after closing 15 stores, blaming online. 7. Commonwealth Bank’s Business Sales Indicator (card usage) rises modestly in Feb.
8. Aussie gelato chain, Gelatissimo, expands to Middle East. 9. Kathmandu ends stellar run with 40% drop in first half profit after heavy discounting. 10. Oroton defies industry trends and reports 4% increase in profit for first half. 11. Malaysian shoe store offers dates to females who buy shoes with men paying part of the purchase price in return for the date. 12. High profile US fashion store, J.Crew, extends its online offering to Australia. What do you do/sell at the market? Aboriginal art. How long have you been at the market? 15 years. What do you like best about the market? - Meeting new people from all around the world. One thing nobody knows about you? I can't dance. Favourite food? Fish that I catch. Favourite TV show/ movie ? 2 1/2 Men. Favourite music or band? Pop in general. If you had your Sunday arvo free from the market, what would you do? Go fishing. Readers of the Trader’s Bulletin handed out to each trader will have noticed the back page dedicated to a FREE Visual Merchandising Workshop to be conducted on 2nd May. This excellent workshop has been brought back for new traders or any who missed last year’s version. The workshop is conducted by ARA professional trainers and has been tailored to QVM conditions. We heartily recommend the course and guarantee that you will take away at least a few pointers to help get extra sales from your stall or shop. The training sessions are educational, enjoyable, and an excellent opportunity to mix with other traders in a different environment. Application forms are available from the Trader’s Bulletin or the market office. Would any trader who has given this free website offer a try please let us a have a report by email or simply call Greg Smith (0406 222 020) with details. Thanks. PayPal has launched its own payment system in Australia with a credit card reader that attaches to an iPhone or Android smartphone. A credit or debit card is swiped in the normal way and details of the sale entered on the phone’s screen. The customer signs on the screen and then enters their email address or phone number for delivery of a receipt. 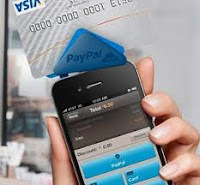 PayPal charges 2.4% plus 30c for each swipe or PayPal transaction and makes funds available to the retailer immediately. We haven’t seen the process operating live although it seems a little clunky and will probably work out dearer than the current bank EFTPOS processes but for businesses with a smaller number of transactions it may be ideal. Get more details PayPal Here. Last week we published an article “If You Don’t Have EFTPOS You Might As Well Pack Your Bags”. Sweden has gone along way down the rid to getting rid of cash altogether. In most Swedish cities, public buses don’t accept cash. A growing number of businesses only take cards and some bank offices have stopped handling cash altogether. The Carl Gustaf Church in Karlshamn recently installed a card reader so no-cash worshippers could leave an offering. Bills and coins represent only 3% of the Swedish economy compared to an average 9% in the Eurozone. Ironically, one of the main proponents of the cashless society is Bjoern Ulvaeus, former member of the 70’s pop group ABBA, who made a fortune on “Money, Money, Money” and other hits. For Ulvaeus it’s a matter of security with bank robberies plunging from 110 in 2008 to just 16 in 2011. Getting rid of cash helps to get rid of shadow economy activities while the flipside is the risk of cybercrime. Problems like this aside, technology and innovation are driving us to a cashless society. Which Social Media Outlet Will Bring Business? 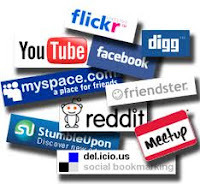 Like a child in a toy shop we are bombarded by new social media options - Google, Facebook, Twitter, Yelp, Tumblr, Pinterest - and it is difficult to select the right one(s). The child in a toy shop analogy works as well because this is a young industry and there is not much information out there on what is going to last the long haul and be meaningful to consumers. Facebook has a foot in the door with retail type connection opportunities. Your editor did try a Facebook retail shop plug-in but the trial period expired with no real results and I am still waiting on more positive information from users before pursuing this course. Pinterest is a very interesting new option. It is basically a pin board on the web and is full of lovely photos that you click on to finally get to a website buying option. The photos are all of a reasonable standard and we suspect they are hand filtered for appearance. If you have a product that photographs well, this may be for you. We would be very interested in comments from traders who have tried any of these social media options as business links. Exchanging useful information could give QVM traders an edge over our rivals. In April/May 2011 General Merchandise Traders wrote to Jenny Hibbs, QVM CEO, requesting a review of the food bias in QVM tourist brochures. Specifically, we questioned the almost exclusive use of food oriented graphics in QVM advertisements. The QVM tourist brochure is handed out at the office and various city locations including the splendid Visitors Centre in Federation Square. At the time this brochure had 14 photos, but only one (a picture of the Victoria St. shops) could be construed as general merchandise. The Official Visitors Guide to Melbourne is the premiere tourist brochure for Melbourne with over 1,000,000 copies distributed annually. The visitors guide contained a QVM advertisement with 6 photographs – not one photo showed general merchandise. We argued that the bias on food was inappropriate for any market publication but particularly for attracting tourists who were unlikely to be buy large quantities of food to take back to their hotel/motel rooms. Additionally, as 70% of General Merchandise Customers were tourists there was a good chance that tourists come to the market predominantly for general merchandise. At the time our CEO agreed with our sentiment and promised a review of tourist brochure advertising content. We are able to report that current publications reflect a shift in emphasis. See below. The QVM tourist brochure now contains 3 photos of general merchandise amongst its 15 photos and the Official Visitors Guide now contains one photo of general merchandise amongst its 5 photos. While we are pleased that general merchandise has an improved showing, we still don’t believe these brochures give a balanced view of what QVM has to offer tourists. What do you think? 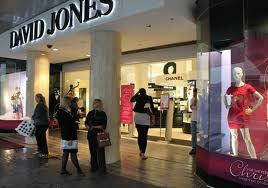 David Jones say their profit could fall by as much as 40% as they adjust to the worst trading conditions in 20 years. In its announcement this week DJ’s reported a 19.6% drop in first half profit. DJ's have come up with a strategy to make them a true "omni-channel retailer”, with sales from their website, mobile apps and social commerce site accounting for 10% of overall sales. Their aim is to emulate world leading department stores like Nordstrom and John Lewis who successfully balance bricks & mortar with online retailing and feature in the top online performers generally. DJ's strategy will include significant spending on new infrastructure to support their plans, the building of 6 new stores, and some smaller format stores. 1. UK based retailer, Game, on brink of collapse including 115 Australian stores. 2. Dominos says over 1,000 jobs available immediately throughout its pizza chain. 3. Melbourne based toy supplier, Funtastic, buys international rights to select Lego products. 4. Pumpkin Patch struggles to re-organise after closing US and UK operations. 5. NAB study shows retailing confidence falling faster than any other category. 6. US Commerce Department says February retail sales up and upgraded previous two months figures as better job data flows through to retail. 7. Biilabong reports US sales remain strong. 8. Myer's first half sales fall 17.5 per cent, profit slumps 20 per cent. 9. Retail landlords plan to pass on carbon tax to retailers. 10. Foodworks moves away from company owned stores to member operation. 11. PayPal launches iPhone credit card reader for Australia. 12. Easter Saturday and Sunday are normal retail trading days in Victoria. New statistics show that Australians are moving ever quicker to a cashless society and traders need to be part of the trend. 1. Cash withdrawals from ATMs are declining as customers use card instead of cash. 2. Average card purchases are declining as customers use their card for cheaper, more basic purchases. 3. Purchases on debit card are growing three times quicker than credit card. One trader told us that he didn’t see the need for his own EFTPOS machine when there were public cash machines available in Queen St. We really think he is missing the point. This is all about convenience. If customers are starting to use card for small basic purchases, why would they be prepared to queue at the QVM. And our competitors out in retail land are already experimenting with tap’n’go transactions which are even more convenient. We suspect that most traders do have mobile EFTPOS machines, but if you don’t, it is time to act. Talk to your bank. i've just recently gone with nab bank through a company called get me eftpos, and it only cost 9.95 a month plus the interest per sale, so no excuses people, its cheap, and i find customers are more likely to spend more money if they can use eftpos. What do you do/sell at the market? 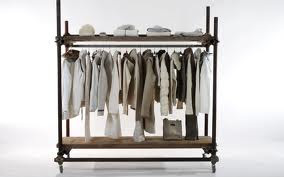 De-pil-it for clothing and thick ironing board covers - Melbourne made. What do you like best about the market? - Lately not much, but in general, freedom and the chance to put my business smarts to practise. Worst moment? Worker for other stallholder came at me with an iron bar because I asked him to tie up his box door during strong winds in D shed which could have damaged my car. Sporting interests? I swim in the sea weekly, watch soccer and Aussie rules. Favourite food? Pho - Vietnamese soup. Favourite TV show/ movie? Drama movies in general. Favourite music or band? Pop music, Peter Murray. If you had your Sunday arvo free from the market, what would you do? Spend time with family and help family. Hard working traders, do they ever receive some praise from the QVM? A brief for the National Retailers Association shows that 133,000 jobs will be lost in retail over the next 3 years. Ernst & Young said that 33,000 of those job losses would be due to the Government’s refusal to introduce GST on online purchases under $1,000. We have indicated in previous articles that the $1,000 threshold is basically a tax break for consumers that has the potential to cause extra hardship for retailers. Woolworths CEO, Grant O'Brien, has said that the $1,000 threshold is not the biggest issue facing retailers and that proposing extra taxes on consumers is not the way to go. That is probably easy to say when the bulk of your business is in food and is unlikely to be impacted by online imports. The National Retailers Association says that these job losses are more significant than those in the manufacturing industry and deserve strong corrective action by the government. Getting a New Product Approved by Management. Professional retailing requires constant evaluation of your product range and tough times are making it even more important to keep exciting new products rolling in. 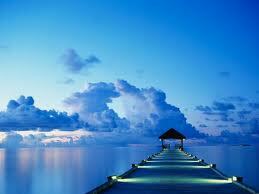 But sometimes a big barrier, called QVM Approval Process, stands in our way. Traders have reported great difficulty getting approval for new products particularly if they are slightly outside their approved stall content. There have to be some rules. We don't want traders indiscriminately introducing any product they want, nor do we want to stifle the introduction of exciting new products that make QVM an exciting place to shop. These are important issues that require time and effort to make the right decision. If you have a new product idea, be prepared to put up a professional case for its inclusion. We suggest you prepare a written submission giving brief details of the product, why it fits into your range, what advantages it will offer your business, and what advantages it will offer the market. In other words prepare a well thought through business case for your idea. If your idea is a little bit off-field, expect a refusal first up, but don't despair, this is just the start of the process. Write again, add some more detail on your proposal and request a meeting to discuss its merits. Continue this process until you believe you have had a fair hearing. The bottom line is, if your idea has merit, it deserves time, effort, and a professional application, and there is a good chance it will succeed. 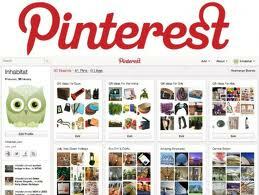 Pinterest is the new kid on the block with phenomenal growth over the last 6 months. Aimed predominantly at women, this website allows pinning of photos and comments on virtual bulletin boards on subjects like fashion, food, and travel. It has been described as “the latest procrastination tool of the masses” but that hasn’t stopped major brands from leaping on the roller coaster for what has been called the best source of free advertising a brand can get. 1. Woolworths rated Australia’s most valuable Asia-Pacific retail brand. 2. Harvey Norman scales back online expectations as sales disappoint. 3. US officials arrest 29 members of counterfeit import ring involving UGG boots, Nike sneakers, Burberry, Gucci, and Louis Vuitton. 4. Jamaica Blue coffee pulls its sponsorship of TV show, The Circle, following offensive comments about Australian soldier. 5. Reserve Bank sees no reason to change official interest rate in March review. 6. Julia Gillard asks business for ideas on cutting red tape. 7. Woolworths launch Baby & Toddler Club for online access of baby and food advice. 8. Roy Morgan Customer Satisfaction Awards pick Aldi and The Good Guys. 9. Suppliers dob in Coles and Woolies to ACCC for unconscionable conduct. 10. US children’s footwear brand Stride Rite opens two stores in Melbourne. 11. Deals Direct buys Extrastock, a world leader in ebay clearance concepts. 12. Australia’s worst trade deficit in 2 years surprises market. 13. ACCC accuses Flight Centre of trying to set minimum prices on flights. 14. Go-Lo, Crazy Clark’s, Sam’s Warehouse and Chicken Feed group announce cost cutting and job losses. 15. Australian unemployment rises to 5.2% with predictions of 5.5% by September. 16. Toshiba develops cameras based recognition to replace bar code scanning for all items including fresh food. Does the QVM Need a Better Online Presence? There has been lots of discussion in the retail industry this week about which retailers understand the challenge of online retailing and which don't. Woolworths have whole heartedly embraced the online concept with the launch of a mobile app that has already been downloaded 1.5 million times, launched a daily deals site, introduced a click'n'collect service, and says that online retailing is "the biggest opportunity in retail in years". Harvey Norman on the other hand has just announced a reduction in its estimated online take from 5% to between 1% and 2% and, according to Business Spectator, Gerry Harvey “just doesn’t get it”. Myer has yet to update its e-retailing strategies but we know they are developing a new e-commerce site, introducing click'n'collect, a daily deals site, and an overhaul of their digital strategies. Myer have the advantage of a brand new POS system which will enhance integration of all their information systems and the interface with customers. 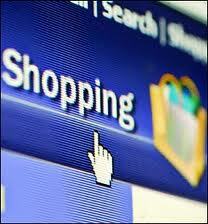 Just Group have identified online as an important growth area with their website already being their ”largest store”. It is early days for e-retailing but the efforts by the big boys so far, and the urgency they are showing, suggests that it is a force to be reckoned with as strategies are developed to handle the new consumerism. Where does QVM fit in with this whole scenario? There is an argument for saying that going online is the responsibility of individual traders and many do have their own websites. However, a bit like with marketing generally, the ability of small traders to generate the expertise and resources for a comprehensive strategy is limited. Common sense and economic realities suggest that this is a task best conducted by QVM in a similar way that Westfield conduct a very professional and comprehensive web presence on behalf of their retailers. The Westfield example allows customer interaction on a scale similar to the best individual retailer's offerings. The QVM website does offer some marketing avenues although management themselves admit it is old, outmoded, and in need of updating. Access to trader's details for instance is only easily accessed by a footnote at the bottom of the main page. Given the urgency being displayed by other retailers, perhaps it is time the MCC used some of its surplus to fast track funds for an update for the QVM website and allow a professional e-retailing site to be developed. Dear Marketing Manager – We have an Idea! Trader Heng came up with a novel tourism idea some months ago that involved engaging tourists through photography points around the Queen Victoria Market . He proposed a large billboard with iconic Australian visions on it that tourists would stand in front of for photo opportunities. The billboard would advertise the market and become a unique record for visitors and an opportunity to share their experience with others. At the time we didn’t get around to develop the idea but recent retail news has brought the concept back into consideration. 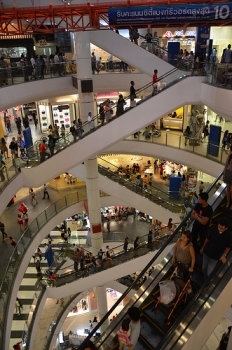 The new Bangkok Terminal 21 shopping centre has been lauded as cutting edge in attracting visitors. One of the key elements is a multitude of sculptures, statues and replicas of world tourist icons. Visitors queue to have their photo taken beside a London bus, a San Francisco tram or a huge statue of two Sumo wrestlers. Visitors are able to record their unique experience but, more importantly, share it with their friends and encourage other’s to visit the centre. At the QVM we would envisage a Melbourne tram or Brighton beach box as possible icons but the choices are almost endless. It could be argued that the QVM already has photo opportunities and it is true that the period architecture in the old deli hall is attractive. However, the top end of the market is a little short on photography appeal (apart from our very attractive stallholders of course) and the Queen St. mall area could be an ideal spot for a photography point. We think this is an idea worth developing. Is This the Best New Shopping Centre in the World? Bangkok’s new Terminal 21 shopping centre is themed on an airport without aeroplanes. Some consider it the most innovative and invigorating shopping centre in the world. The centre encourages photography to which you might say “So what!”, but one of its main features is a host of sculptures, props and replicas that emulate world tourist icons like London buses and San Francisco trams. Customers literally queue to have their photo taken beside the icons. The centre is huge and like other Asian centres is seen as a place that you can occupy for many hours if not a day. The centre has all the usual global retailers but is unique in its large number of small eclectic retailers that are found nowhere else. Combining the size, the glamorous airport theme, the multitude of interesting sculptures and icons, the mix of expected and unexpected retailers, the diversity of floor plans and excellent food courts and shopper services has produced a cutting edge centre that attracts 50,000 – 60,000 visitors per day. Respected analyst Deloittes Access Economics has come up with predictions of retail growth that remind us of a snail taking a small step but which do have some trends of interest. A rise of 2.5% per year over the next 4 years is not likely to keep up with population growth and the increase is even less for categories like department stores, footwear and clothing. Two categories will rise above the trend however. They are household goods which are expected to benefit from lower interest rates and more activity in property, and the mysterious "Other" category which includes online retailers (no surprises there) and sectors like Chemists who will benefit from increased health spending. 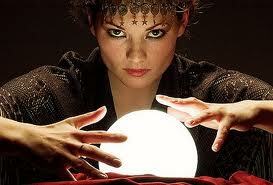 The problem with these predictions is that they are a bit like sitting around waiting for grass to grow. We don't know of too many retailers who would be comfortable with that. Should Imports Under $1000 Be Taxed. Katie's Win Customer Service Awards. Trader Tackles Online Monster Head-on.